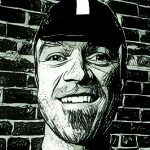 Finding a lightweight system that could work for me day after day has been no easy task. Whittling down each part of the system to just the things I really need has taken many trips, both over one night and several nights. 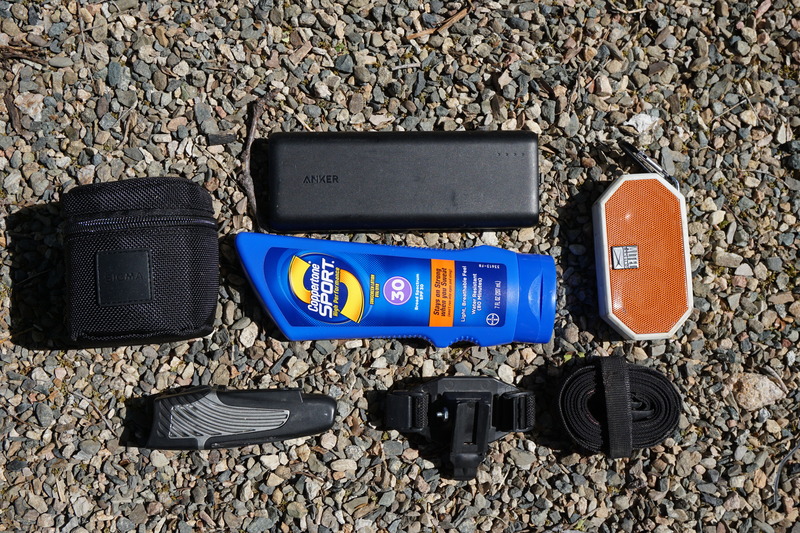 My two week trip down the West Coast has no shortage places to refill supplies. 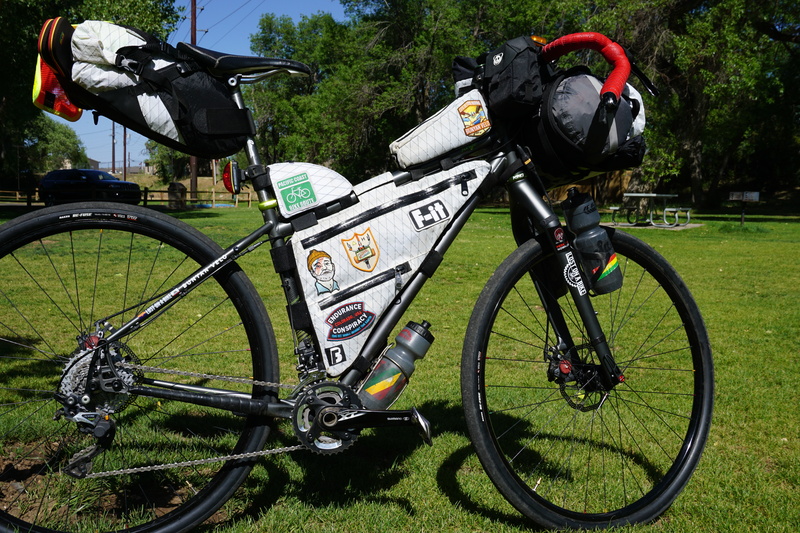 I get to shed the weight of two front panniers filled to the brim, and the rear rack with extra storage for the long desert stretches. I am only taking one set of riding clothes, and an extra pair of socks. 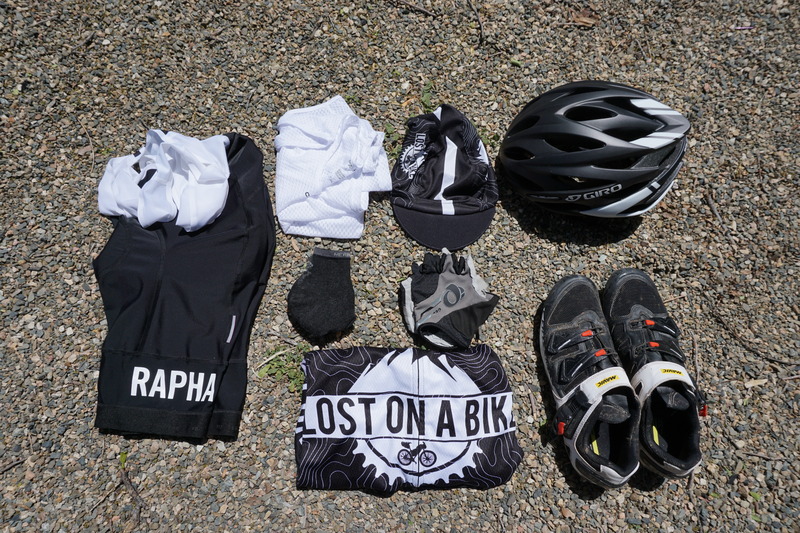 I chose lightweight, cool, and super comfortable Rapha Pro Team Bibs, Craft sleeveless mesh base layer shirt, Lost on a Bike jersey, Pearl Izumi Gel Gloves and lightweight wool socks, Lost on a Bike Walz Cap, Giro Savant helmet, and Mavic Crossmax SL Pro shoes. 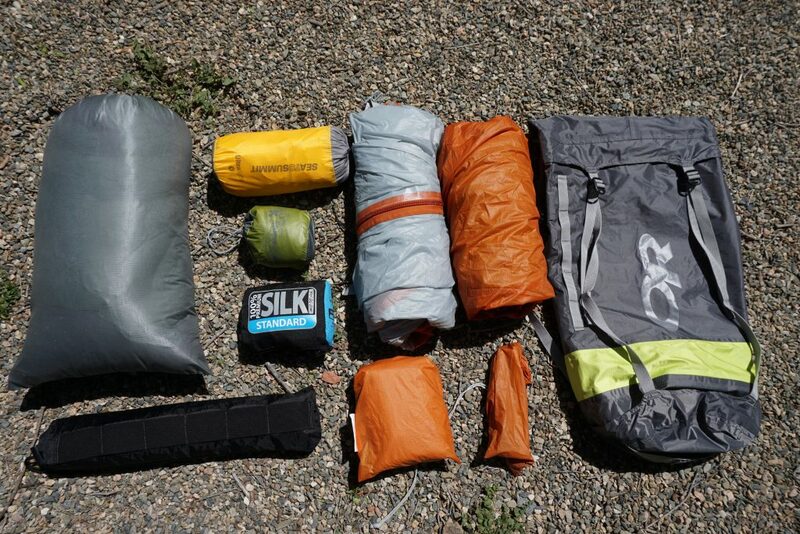 My sleeping kit includes a Big Agnes Copper Spur UL1 tent, Enlightened Equipment Revelation 30 Deg. down quilt, Sea to Summit ultra light sleeping, silk bag liner, and inflatable pillow. 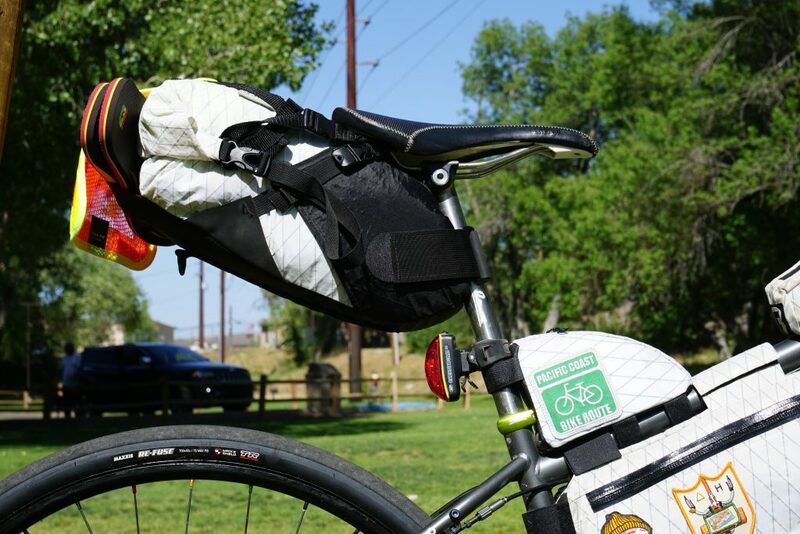 BarFly Bags made the custom bag for the tent poles. 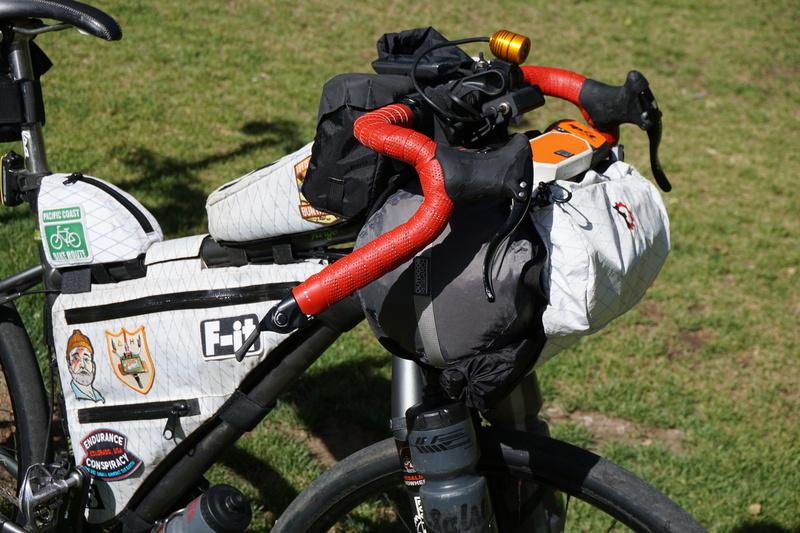 I stuff the entire sleeping kit into a 15L Outdoor Research AirPurge Dry Compression Sack and strap it to my Revelate Handlebar Harness. 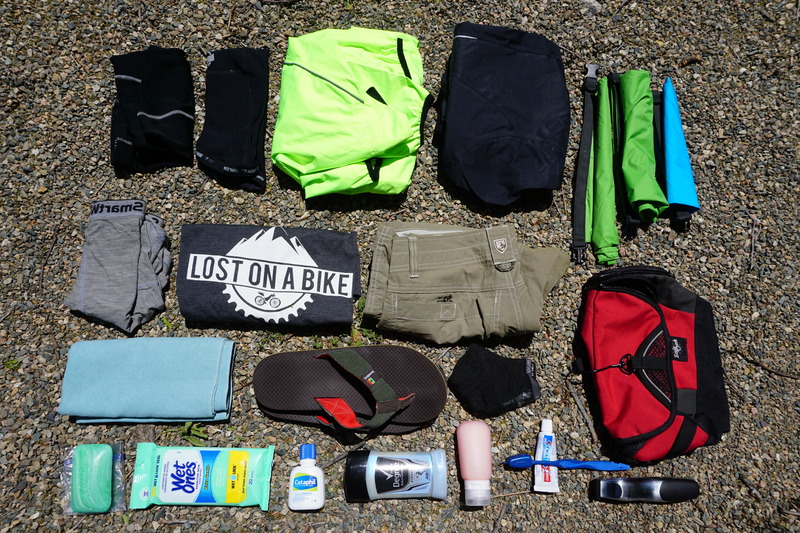 A full change of comfortable clothes will allow time for my riding clothes to dry out. 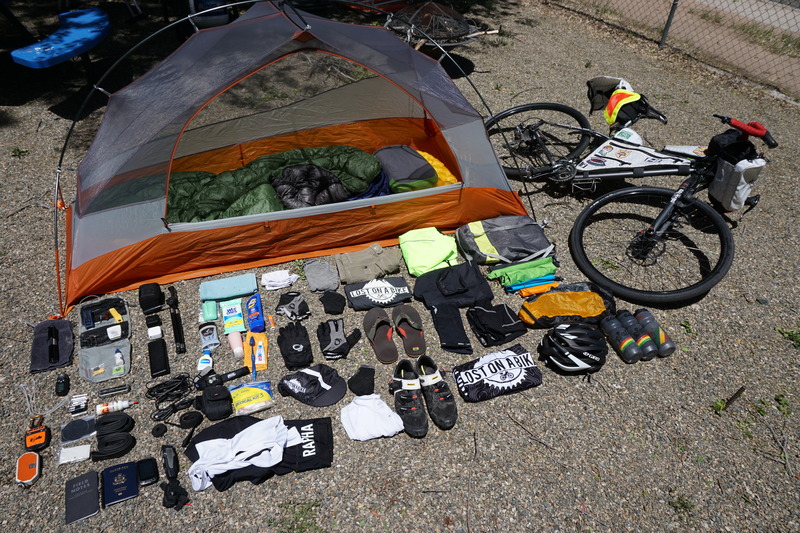 Pearl Izumi arm and leg warmers, Canari Deluge X Rain Jacket, Vaude 3/4 Spray pants, 3 sizes of drybags to fit over my seat bag and other items I want to keep dry, Kuhl shorts, Lost on a Bike T, Smartwool boxer briefs, Pearl Izumi merino wool socks, flip flops, small travel towel, and toiletry items. All of those items pack nicely into my Oveja Negra Seatbag. 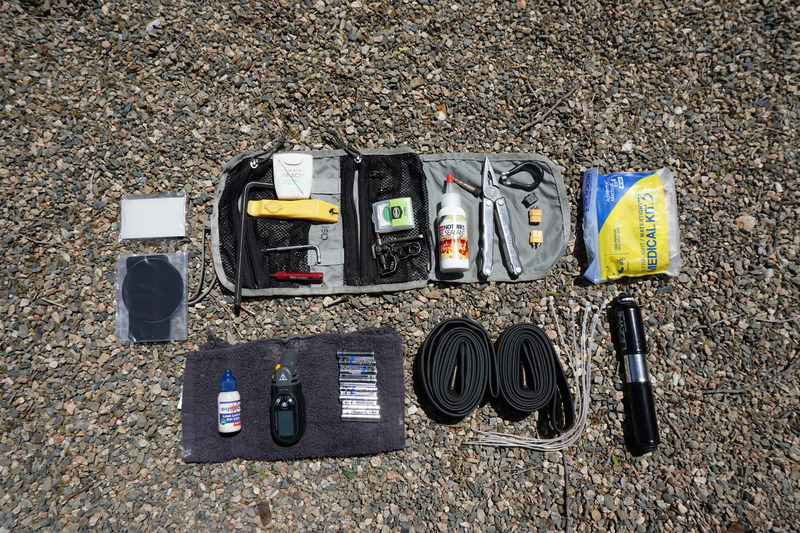 My toolkit fits in the bottom of my framebag, along with tubes a pump,spare batteries, and my first aid kit. 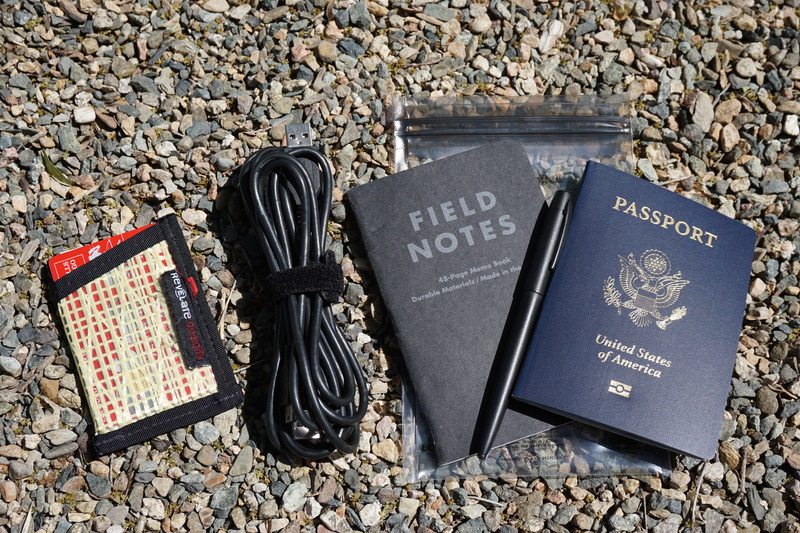 In my side pocket, I keep my wallet, charging cables, notebook, passport, and pen. Extra gloves and arm coolers go in the rear toptube bag. 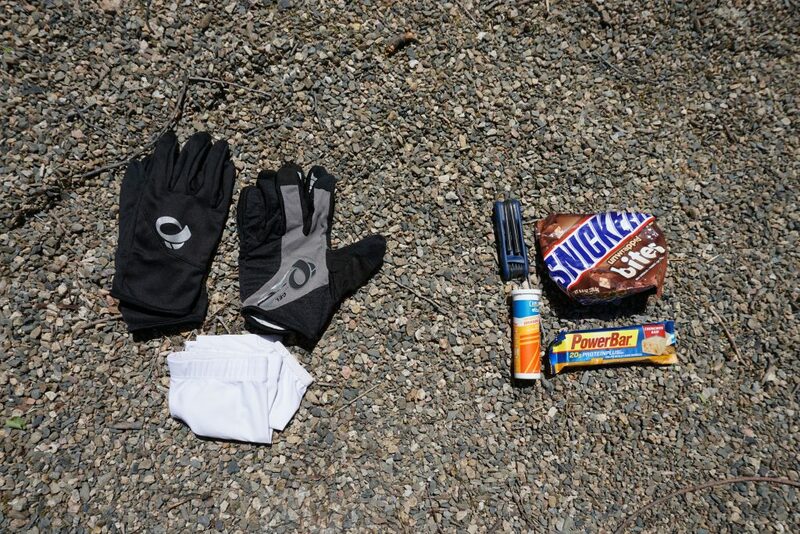 Allen wrenches, electrolytes, and snacks go in the front toptube bag. 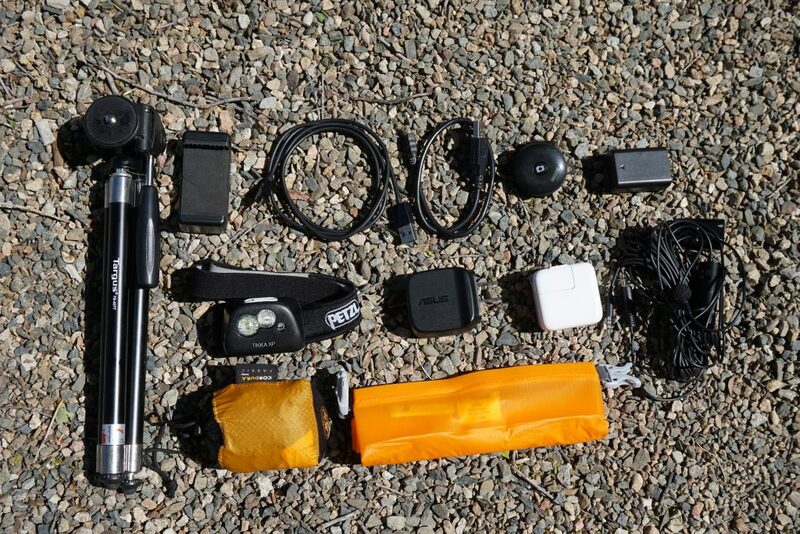 My camera lens, Anker Battery pack, Bluetooth speaker, headlamp and straps fit in the framebag, but may get jammed elswhere depending on how much they get used. The Revelate front pocket is where I stash all my photography gear including shutter remotes, tripod, chargers, lavalier mic, and Sea to Summit packable backpack. 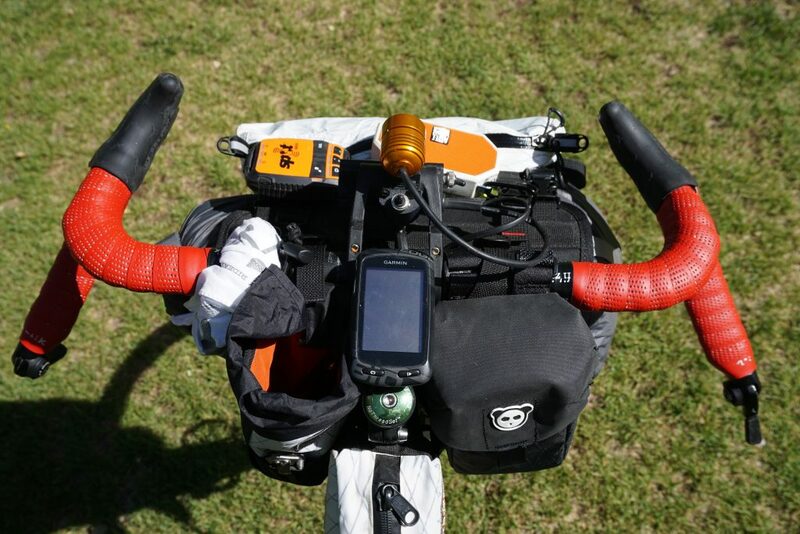 In my cockpit you’ll find my Garmin Edge 810, Spot Tracker, and K-Lite Bikepacker Pro lighting system.